Kirsten Gottenkieny and Peter Geraerdts own and run Track & Trail Safaris. 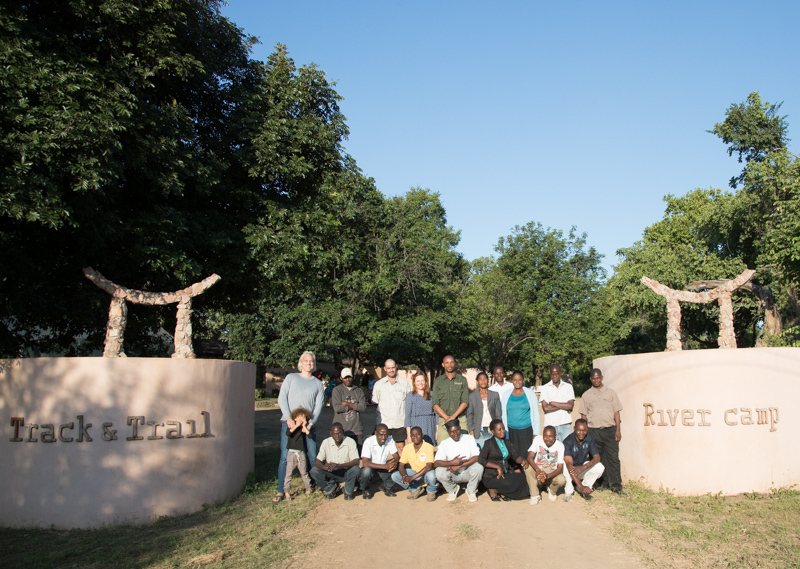 We operate Track and Trail River Camp, a small and personalized lodge on a beautiful spot on the banks of the Luangwa river. This is the base for our South Luangwa Safaris that are conducted in open safari vehicles to give you that ‘bush’ feeling and the flexibility to make that unique picture to take home! Besides, we organize safaris that cover the whole of the Luangwa Valley Zambia, including Luambe National Park and North Luangwa National Park. We also offer Zambia safaris and Malawi safaris or a combination of destinations within Zambia and Malawi for you to discover the best of both. Kirsten Gottenkieny and Peter Geraerdts first met at the Dutch Institute for Business Administration and Economics in 1991, where we sat in the same classroom for 4 years. A strong friendship was the result which ended up in a partnership in Track and Trail River Camp. When we got to know each other better we realized that nature had a tremendous impact on us, especially the unspoiled African wilderness. Africa was the place to be for us. A change in course was inevitable. We first traveled around Africa by car to find ‘our place to be’. Our passion for the bush and wild animals made us decide to look for a place in a pure ecosystem, untouched and pristine. 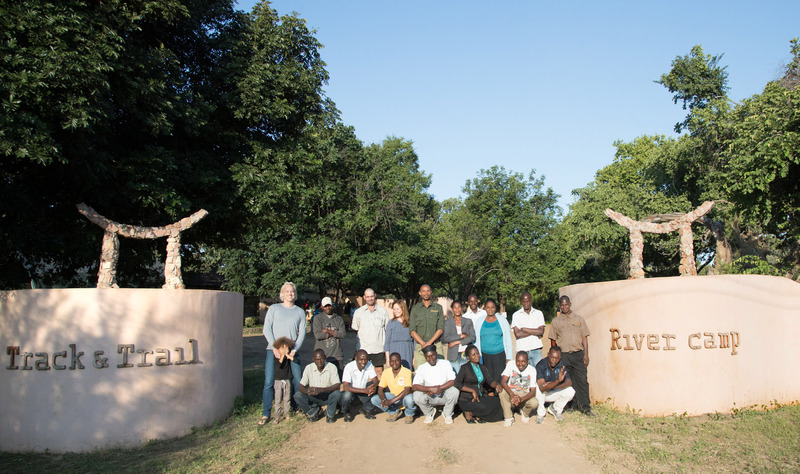 Kirsten moved out to Zambia before Peter and did the building and designing of the lodge. With a limited budget, a creative mind and help from the Zambian natives, we are all proud of what has been achieved. We opened the lodge in 2006 and we are still busy with new projects on site. When designing the lodge, I tried to reflect the theme of balancing our senses: see, hear, taste, feel, smell and beyond… This is established by the use of simple shapes, as our yin-yang shaped pool, natural colours and materials. My aim was to give the lodge the appearance of calmness and serenity, blended in with the natural surroundings. See – the natural surroundings, beautiful African people and exciting wildlife. Taste – open your mouth and take a deep breath and ‘taste’ Africa…and besides, we also designed our dishes to stimulate your senses. Kirsten is a qualified aromatherapist . If you feel like ultimate relaxation, you can book Kirsten to have yourself pampered between the safaris. Kirsten lives as a couple with Marcell Marx on site, together with their two dogs Mosi and Cruiser and a beautiful fluffy black cat Zoe. Marcell Marx is our technical man and basically everything that breaks down ends up in his hands for fixing. Marcell is a keen sport-fisher and during the emerald season he can take you out on a fishing trip. In 2003 Peter successfully completed an immobilisation course in Zimbabwe with a view to help wounded animals who become victim to poachers. When animals are trapped in snares or if their wounds need treatment, the only possibility to get close to them is by using a darting rifle.The opiates and tranquillisers to knock-down injured animals are extremely strong and dangerous to humans. For this reason they are only used in veterinary medicine. Peter has become a member of the HWPO, Honorary Wildlife Police Officers. 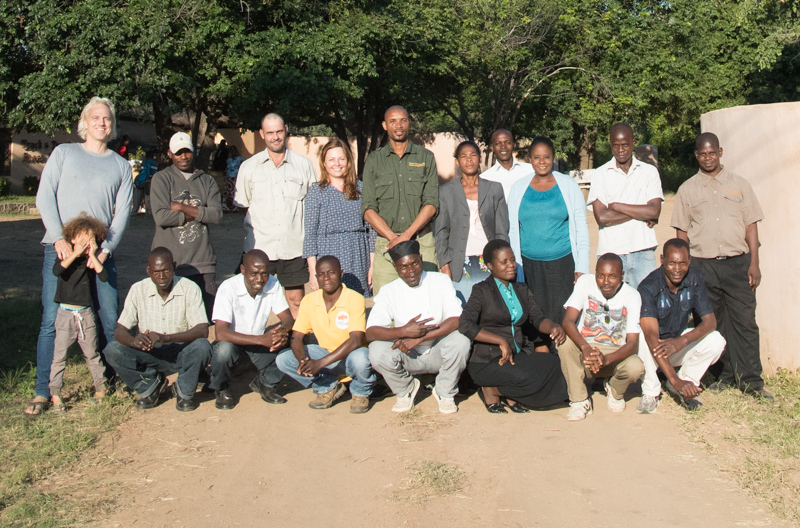 These officers are non-governmental officers who are helping out the local wildlife authorities with certain conservation projects in their free time. In other words helping out with matters like poaching, local hunting, wood logging etc. 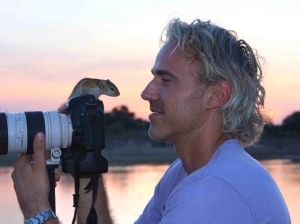 Peter is a keen photographer and a professional Luangwa safari guide, two passions with nature as a drive. Do you know a better combination than nature & photography?! For those interested in better photographic results during their safari holiday, you have the opportunity to go out on a specific photographic safari with Peter. The combination of passion for wildlife, education and experience in the hospitality branch gives us the opportunity to offer you an unforgettable safari experience.